What's the Best Real World Driver's Car? What is the best, real-world, drivers fun car? Which obviously depends on what people class as fun. The obvious choices to many would be a track-day car; Caterham Se7en, Westfield XTR etc. Or then there are the full-on hoon-mobiles, WRX, EVO, GT-R etc. Or does it actually have to handle at all? Surely fun doesn't have to be all about lap-times, maybe fun is about reaching the limits? Maybe a Volvo 760 or Jag XJ6 could do it? The bonus here being cheapness and disposability. 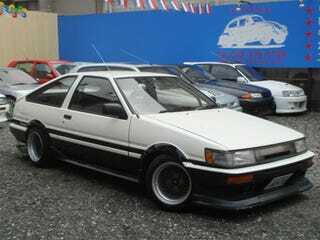 My personal choice would be something like a Capri 2.8 or Corolla Levin. Rear wheel drive, a bit of power, a bit of handling, enough of each to make you feel like you're driving a car, to the best of your ability. We'll just come right out and say it: Mazda Miata. You?